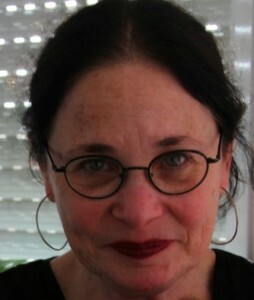 Judith Kroll is a Distinguished Professor of Psychology, Linguistics, and Women’s Studies at University of California, Riverside. She completed her undergraduate degree at New York University and graduate degrees at Brandeis University. She held faculty positions at Swarthmore College, Rutgers University, and Mount Holyoke College before joining the Penn State faculty in 1994, and recently moved her lab to UCR in 2016. The research that she and her students conduct concerns the way that bilinguals juggle the presence of two languages in one mind and brain. Their work, supported by grants from NSF and NIH, shows that bilingualism provides a tool for revealing the interplay between language and cognition that is otherwise obscure in speakers of one language alone. With colleagues at UCR and at Penn State, she is PI on a PIRE grant (Partnerships for International Research and Education) from NSF to develop an international research network and program of training to enable language scientists at all levels (undergraduate, graduate, and postdoctoral) to pursue research abroad on the science of bilingualism. She is a Fellow of the AAAS, the APA, the APS, the Psychonomic Society, and the Society of Experimental Psychologists. She was one of the founding editors of the journal Bilingualism: Language and Cognition (Cambridge University Press), and one of the founding organizers of Women in Cognitive Science, a group developed to promote the advancement of women in the cognitive sciences and supported by NSF.